Cory Strassburger, Kite & Lightning's co-founder won the SIGGRAPH Real Time Live 2018 award for his "DIY" MoCap setup. They were early users of Polywink and used our facial animation services in their MoCap setup. 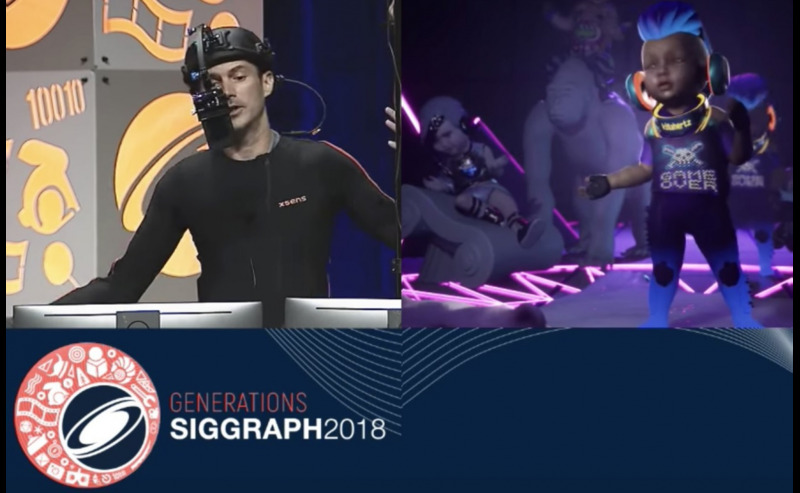 Motion capture in real-time is now more accessible than ever, as demonstrated by Kite & Lightning co-founder Cory Strassburger who just won SIGGRAPH 2018 Real-Time Live! for his presentation “Democratising Mocap: Real-Time Full Performance Motion Capture with an iPhone X, Xsens, IKINEMA, and Unreal Engine”. The SIGGRAPH audience was left flabbergasted when Cory used a character from his upcoming VR game Bebylon to show off his “do-it-yourself” real-time mocap setup. The result is a combination of four technologies - an iPhone X attached to a helmet for facial animation using its face tracking features, a full body mocap suit by Xsens to capture the body movements, the Unreal Engine to host the whole setup and finally the IKINEMA LiveAction tool for the tuning & retargeting of body data. This motion capture setup is affordable, portable, requires no markers and its range is only limited by the WiFi network. How was Polywink used in the MoCap setup? 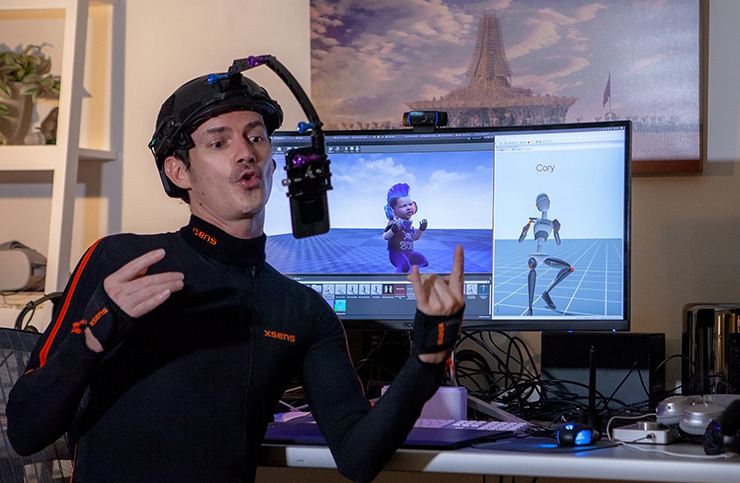 It's also a proud moment for Polywink as an early collaborator and contributor to Kite & Lightning’s real-time motion capture setup: Cory originally used Polywink’s Rig on Demand service to generate the full facial rig which powered the real-time facial animation. Both Polywink and Kite & Lightning’s new setup are part of a global effort to make facial animation more accessible: manually creating the blendshapes and rig would otherwise have taken weeks of work. But thanks to Polywink’s automated technology, blendshape & rig generation has become faster and cheaper than ever! Polywink’s Blendshapes on Demand & Rig on Demand are two services where the user must only upload a neutral 3D head model for our automated technology to do the rest: they respectively generate a set of more than 150 expressions blendshapes or a full facial rig with more than 200 blendshapes. This technology drastically changes the facial animation process by automating a tedious step and cutting the costs of an overall and otherwise time-consuming process. Polywink’s fast & affordable Animation on iPhone X service is empowering developers and animators to easily create facial animations thanks to Apple’s ARKit and the iPhone X Face Tracking. Just upload a neutral 3D head model on our platform and receive it back in no time, ready to be animated! Import the model into Unity’s ARKit Plugin or Unreal AR and animate it with the iPhone X face tracking features. Polywink provides the 3D community with a variety of multipurpose affordable services coupled with a strong support team to keep everyone assured that they are getting the best quality possible, no matter their project, all the while preserving the user’s topology in every case. Download a sample on each of our service pages and don’t hesitate to contact us if you have any questions. Upload your models now and bring your characters to life in the blink of an eye!